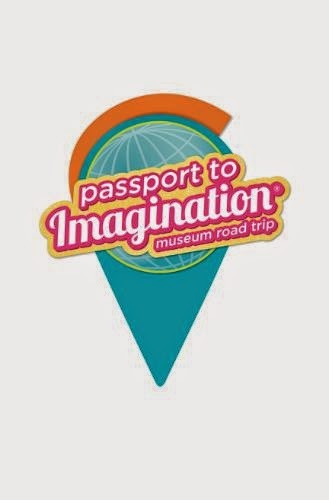 Michaels has teamed with seven leading North American museums to create Passport to Imagination 2014, a low-cost, in-store summer program where kids ages 5-12 explore culture through crafting. This year's theme is Museum Road Trip, and each week will feature a different museum, with projects inspired by the museum and its exhibits. The seven museums are the Perot Museum of Nature and Science, the Georgia Aquarium, The Field Museum, The Museum at Fashion Institute of Technology (FIT), the Denver Art Museum, the Pima Air & Space Museum and the Montreal Museum of Fine Arts. The in-store adventures take place June 16 through Aug. 2 on Mondays, Wednesdays and Fridays from 10 a.m. to noon. Each two-hour session is just $2 per child at all U.S. Michaels locations. "Passport to Imagination gives children the opportunity to experience some of North America's finest museums and a wide range of different, world-class exhibits, all without ever leaving their hometowns," said Michaels CEO Chuck Rubin. "It's fun for the kids, affordable for the parents and a great way to keep kids' creative minds active during the long summer months." These projects teach lessons on natural history, technology, marine life, textiles and art. Parents can purchase additional themed project kits each week to complete with their kids at home. During the week of June 16, the first 50 participants at each store will receive a free souvenir album. For more information on Passport to Imagination and other in-store crafting events and classes this summer, go to: www.Michaels.com/Passport.